At the age of 15/16, Lode Saelens first started mixing. He used a program called Virtual Dj on his first computer. At that time he already had his own website with an amateur radio stream. Shortly after that he started playing at private parties for his friends. The name DJ L.O.D.E was the invention of his KSA buddies. 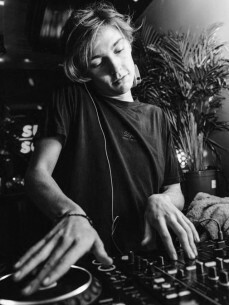 At the age of 22, he bought a professional second-hand dj set. DJ L.O.D.E’s professional carreer started very unexpectedly. At the last moment a friend asked him to replace the dj at the Aspifuif at Machelen, a party gathering 500-600 people, on the 22nd of February 2013. He had never played his set in front of so many people. That night he made such a big impression on the crowd that in no time he got several bookings for large-scale events see “references” page.